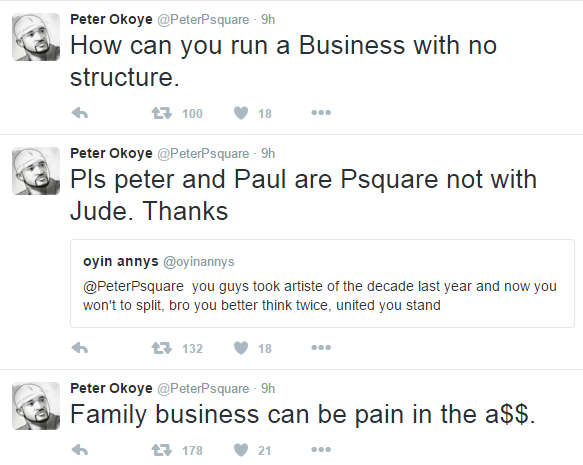 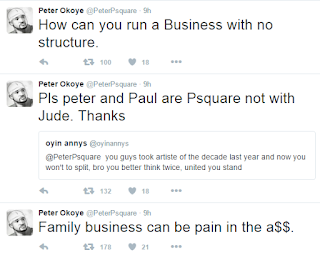 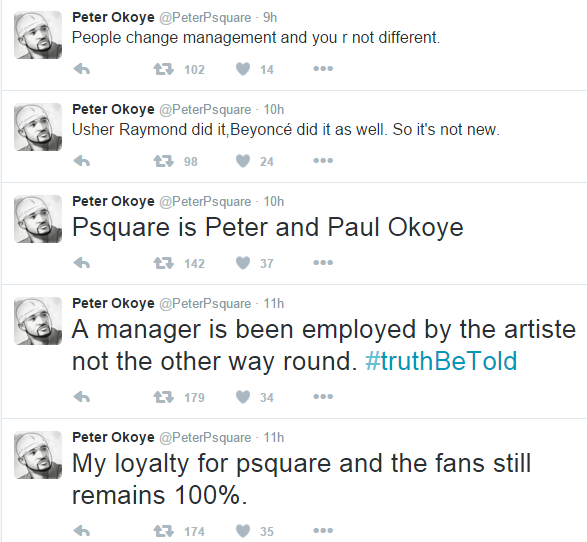 P Square and Jude Okoye are the latest to have war of words in 2016. 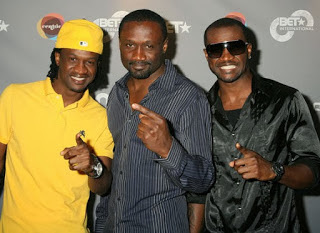 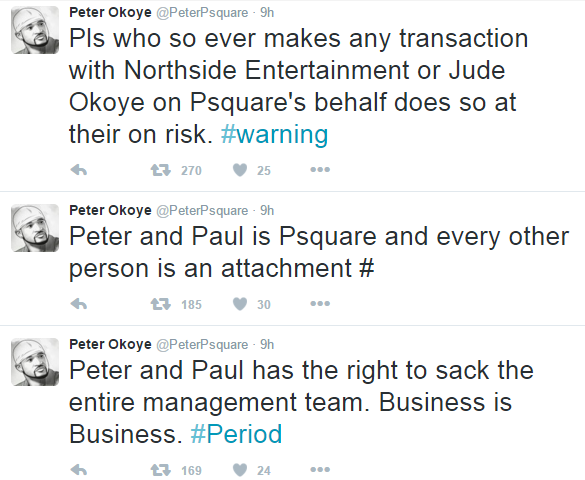 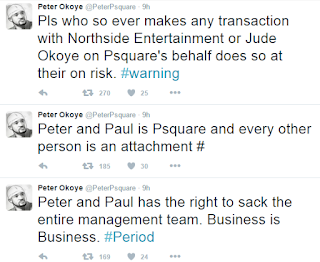 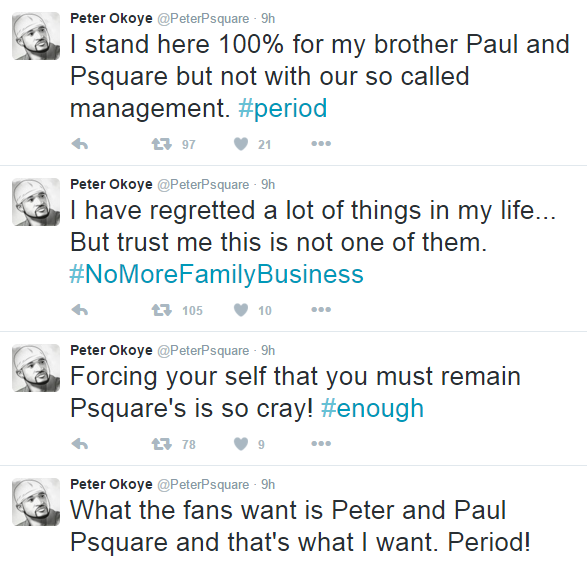 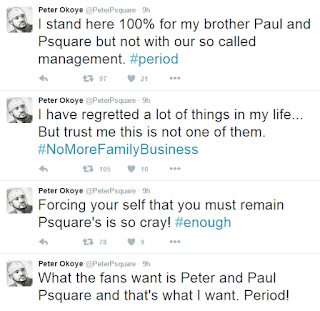 Peter Okoye have voiced out his opinions concerning family and business while issuing a disclaimer about doing business with Jude Okoye who seem to be the management team of P Square. 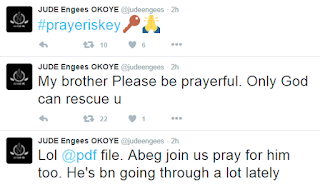 There has been replies from Jude Okoye who has joking called for prayer session for his brother who is bitter about something. 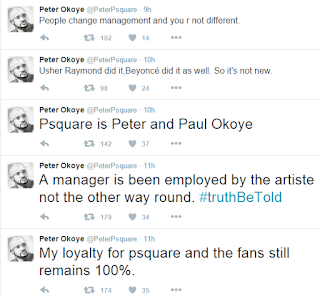 We will keep you updated as the story unfolds.